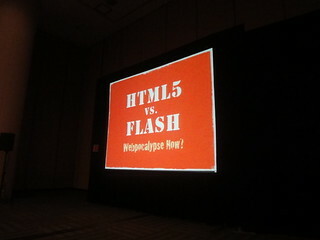 How Do Flash & HTML5 Use Computer Resources Differently? – Technology… in PLAIN ENGLISH! How Do Flash & HTML5 Use Computer Resources Differently? About this guest author: Dorian Darke is currently using VPS hosting at JaguarPC to operate a blog where he is testing out the merits of both HTML5 and Flash. He feels that a good approach to his site may be to use both where possible, but he wants to conduct further research and testing to be sure. HTML5 and Adobe Flash are both popular among developers, whether they are putting together or trying to improve a website or creating an app to release on Android and iOS platforms. In the past, many would use whichever appealed most to them, especially when it came to their own preferences and skill sets. However, recent years have been marked by a seismic shift when it comes to online thinking. Business and consumers now have such a specific set of demands and requirements that developers are now having to change what they’re doing to meet this. Of course, such an approach is typical for all other businesses and industries, but for so long anyone looking for apps, software, or services, was forced to take what was on offer without their needs really being listened to. One of the key considerations that many developers have to make today relates to computer performance and resources; what are the differences between how HTML5 and Flash uses these? HTML5, and “regular” HTML for that matter, were once dominant over Flash irrespective of the system on which it was loading. Since 2012, however, comparisons between the two have been balanced, with many Flash applications, especially video, coming out as quicker when tested on the same systems. One common criticism of Flash has been that it can use a lot of CPU resources, making computers work harder and having a huge detrimental impact on overall performance of a system. This impact on performance was particularly pronounced on Mac and Linux systems, where HTML5 applications loaded, on average, 58% quicker than Flash ones, and can partly be credited with influencing Adobe’s decision to stop developing Flash for use on Linux platforms. Such problems also explain why iOS devices cannot play Flash, as Apple have publicly admitted this is at least the motivation behind it, being outspoken against Adobe with regards to Flash performance. In comparison, HTML5 is “low maintenance” and will not send your CPU kicking up into higher gear or start your cooling fan despite having only one application open at a given time. While HTML5 takes the plaudits from those who look at loading times, although it is improving in terms of consistency of presentation across web browsers, it still lags behind Flash in this department. Although the impact on computer resource use might be negligible, it can cause enough disruption to mar the user experience and make them wonder what is going on. HTML5 can deliver inconsistencies across browsers; you might see something different on Mozilla Firefox to what you would see on Google Chrome, for example. Flash, by contrast, tends to be consistent, although using it can then impact on CPU usage, as detailed earlier. Growing numbers of people are also blocking Flash from working on their browsers so adverts cannot start-up automatically. This, in the short term at least, could make HTML5 a preferable platform to be using. From a developer’s perspective, choosing which to use really depends on your purpose for developing something in the first place, which should be driven by demand in your market. Given the large number of iOS devices, and the increasing percentage of web traffic driven by mobile, not to mention the potential performance issues, it would appear HTML5 would be the favourable option for many.